Juice cleansing is a great way to restart the body and mind so you can operate at full speed ahead! Replacing meals with specially formulated, fresh-pressed vegetable and fruit juice blends helps you build internal strength, shed weight and look brighter and younger. 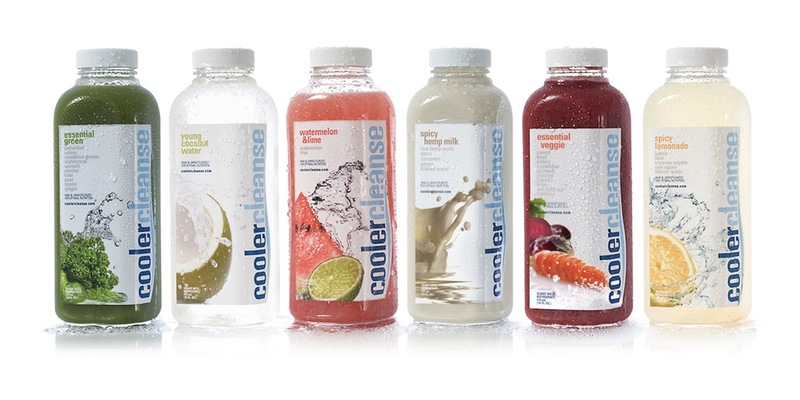 Cooler Cleanse is a great way to detox and they offer a variety of cleanses for any lifestyle. Eric Helms, the founder of Cooler Cleanse shares his tips to help you make the most of your detox! The Before and After. Preparation for your cleanse is the most important. You get the maximum effects from your juice cleanse from eating well at least one to three days before and after your juice cleanse. You should follow a simple diet of whole foods which are easy to digest and rich in supportive nutrients. These pre- and post-juice cleanse days prepare your body, enhance the effects of the juice cleanse and make for a smooth transition back to your regular diet afterwards. Cooler Cleanse offers a raw food detox called Raw Coolers, which is one of the simplest and most effective ways to eat well before your cleanse. Raw Coolers are prepared raw food meals made with top quality, organic ingredients that are delivered right to your door. You can also modify your diet on your own by cutting out anything heavy, creamy, fatty or rich. Eliminate all the starchy breads and anything packaged or enhanced. Many people prefer to eat vegetarian or vegan diets these days, but some organic animal and fish protein is fine. The rule of thumb is to eat and drink very cleanly. This means steer clear of foods and drinks that are hard to digest, disturb your balance and have a tendency to irritate the digestive system. This frees up energy inside so your body can focus on cleansing and healing.